The Egyptian Banking Institute (EBI) organised the second seminar on the accounting standard IFRS 9, titled Achieving Optimal IFRS 9 Compliance, to discuss the best ways to use this international instrument in a precise and distinct manner. The International Financial Reporting Standard (IFRS), promulgated by the International Accounting Standards Board (IASB), specifies how an entity should classify and measure financial assets, financial liabilities, and some contracts to buy or sell non-financial items. According to EBI Executive Director Abdel Aziz Nossier, the IFRS 9 seminar comes within the institute’s keenness to follow up with the global developments in the banking arena and transfer them to the local banking sector. Ola Al-Khawaja, director of the institute’s research and awareness department, stressed the importance of applying the international accounting standards used in the preparation of financial statements. She noted that the implementation of IFRS 9 standards at banks requires coordination among specialised units and risk management, credit, finance, and information technology departments. Al-Khawaja also stressed the need to achieve integration between financial data and risks. Other challenges include collecting and archiving necessary historical data to develop expected loss models, infrastructure problems, and risk management and accounting policies techniques. 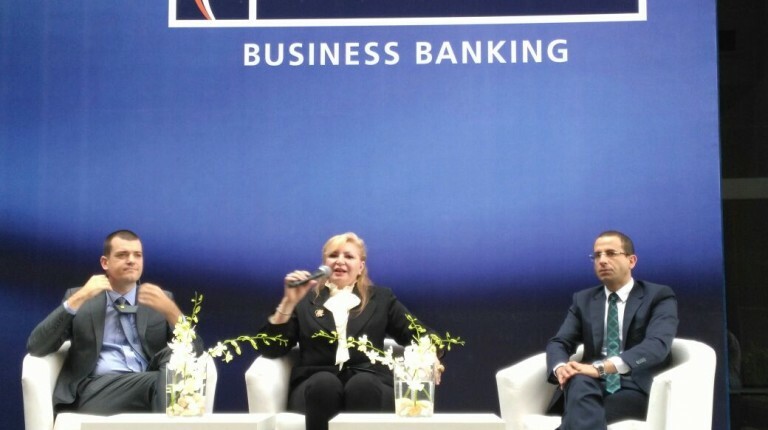 Al-Khawaja pointed out that the Central Bank of Egypt (CBE) has exerted many efforts in this regard. The CBE formed a committee consisting of representatives of a number of local banks and major accounting firms to study implementing IFRS 9 rules. The EBI had held the first seminar to introduce IFRS 9 in December 2017 to prepare financial reports, shedding light on the CBE’s vision regarding this standard.